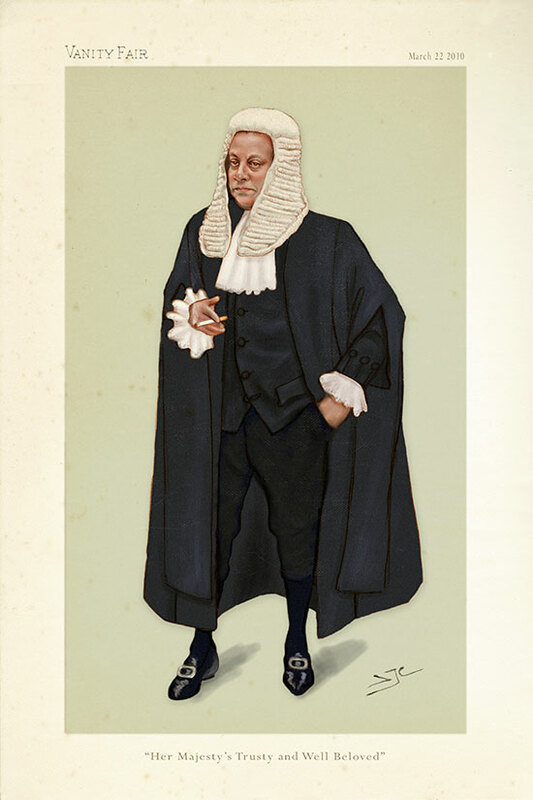 Portrait of a QC, commissioned by his sons, who requested his portrait in the style of Leslie Ward’s ‘SPY’ cartoons. The title comes from the exact wording of the sitter’s Letters Patent (Letters Patent are written orders issued by a monarch, granting an office, right, monopoly, title, or status to a person. It is an archaically worded document bearing a large royal seal and encased in a scarlet leather pouch). The sons thought it would contrast nicely with the nonchalant stance of the QC smoking a cigarette.